12 x 40 in. each. Living as Form-Creative Time, NYC 2011. The word Blessings is displayed in the windows of the historic Essex Street Market, written in five languages commonly spoken by residents of the Lower East Side. 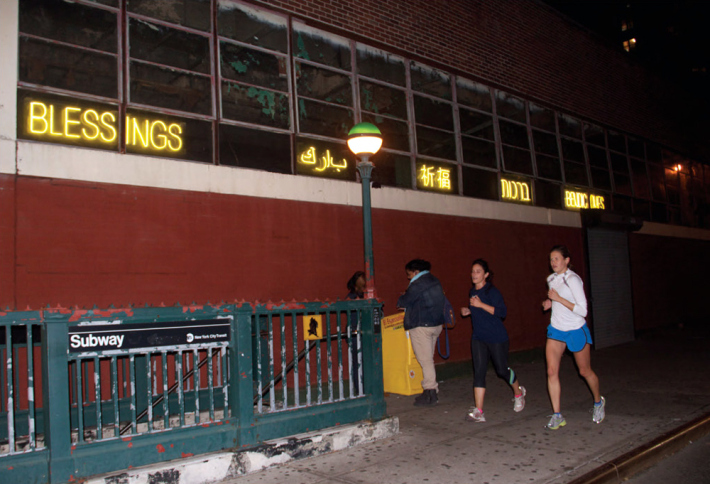 Motion-sensor technology illuminates the neon signs each time a passerby emerges out of the darkness of the subway below the Essex Street Market.